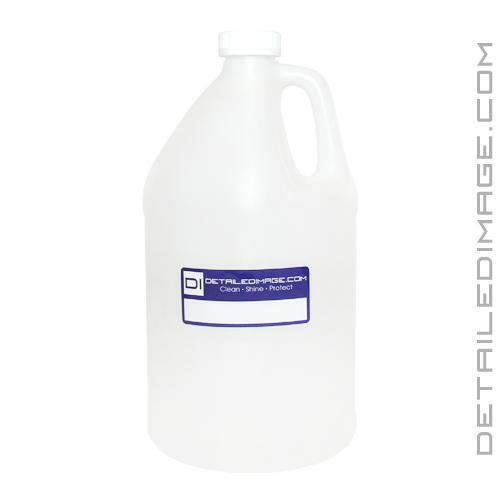 This one gallon bottle is great for storing large quantities of any product. You can make your diluted formulas in this bottle and get the most value out of each product. Many products come in the concentrated form and should be diluted down to the proper ratio for maximum value. Works as expected. Only gripe is the sticker - it's on the wrong side. If you want the sticker facing out, then the handle is facing in. IMO the sticker should be perpendicular to the handle and not parallel. Would love if DI could stock some 5 gallon/1 gallon "space saver" cube-shaped bottles instead of just the rounded ones like this. Not much to say about an empty 1-gallon jug. It includes the cap and is transparent so you can easily see how much product/liquid you have in there. 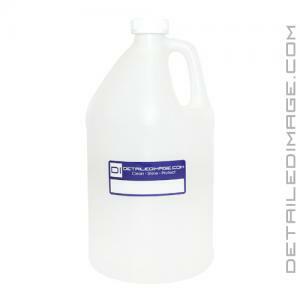 The price seems a bit high but when I just need an empty gallon jug, I add this to my next order from Detailed Image. One word of caution: when you receive the bottle, test it with water to see if there are any leaks. One bottle I purchased had a leak and I lost some precious P21S Total Auto Wash when initially filling up the bottle. Detailed Image immediately sent me out a replacement, which was fantastic - the leak/hole must have occurred during shipping but George and Greg were awesome to take care of me without asking any questions.